There is still plenty to do around town but getting groceries could be tough on Feb. 18. Many cultural sites and skating rinks will be open on Family Day. Municipal and provincial government offices will be closed along with some grocery stores and all LCBO and Beer Stores. Family Day is Monday, Feb. 18, and many cultural sites, attractions and stores will be operating on a different schedule or closed altogether. 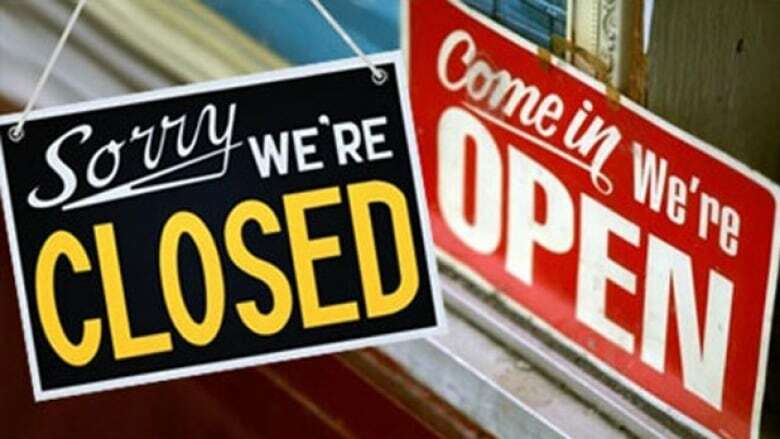 To make sure you're prepared, here's a list of what's open and closed during the holiday. Family Day is a provincial holiday, meaning businesses and institutions in Quebec will be unaffected. City-run indoor pools and fitness centres will be open, but with modified schedules. However, most registered programs at city facilities will be cancelled. The City of Ottawa's 311 centre will be open for urgent matters. Ottawa Public Health's supervised injection centre at 179 Clarence St. will be open 9 a.m. to 9 p.m. The mobile van site will operate from 5 p.m. to 11:30 p.m.
OC Transpo will be operating on a Sunday schedule. OC Transpo customer service centres at Lincoln Fields, Place D'Orléans and St-Laurent will be open from 11 a.m. to 5 p.m. The centre at Rideau Centre will be open from 10 a.m. to 6 p.m.
Para Transpo will be operate a holiday service only, meaning that regular trips are automatically canceled. The reservation line will be open from 7 a.m. to 5 p.m. The Canadian Museum of Nature will be open. The Canadian Museum of History will be open regular hours. The National Gallery of Canada will be open from 10 a.m. to 5 p.m.
City-run art galleries (The Barbara Ann Scott Kallery, Karsh Masson Gallery and the City Hall Art Gallery) will be open. The Rideau Canal Skateway will be open (though that may change depending on conditions). The Sens Rink of Dreams (at Marion Dewar Plaza at City Hall) will be open from 6 a.m. to 11 p.m.
Skating Court (at Lansdowne) will be open from 6 a.m. to 11 p.m.
Ben Franklin skating rink (at 101 Centrepointe Dr.) will be open from 11 a.m. to 8 p.m.
Family Day is the final day of Winterlude. Details about what's going on can be found at the Winterlude website. Select Wine Rack locations will be open. Some Loblaws and Metro grocery stores will be open. Whole Foods will be open 9 a.m. to 9 p.m.
City Hall and all seven service centres will be closed. The City's Provincial Offences Court (at 100 Constellation Drive) will be closed. Curbside garbage, recycling and green bin collection will not occur on Family Day. Ottawa Public Health sites such as Sexual Health Centre clinics, dental clinics, and Ottawa Public Health Contact Centre will be closed. All municipal child care centres will be closed on Family Day. The Cumberland Heritage Village Museum, Pinhey's Point Historic Site, the Nepean Museum and Billing Estate National Historic Site will be closed. All branches of the Ottawa Public Library will be closed. Bayshore Shopping Centre, Carlingwood Shopping Centre and St. Laurent Shopping Centre will be closed. All LCBO and Beer Store locations will be closed. Sobeys locations will be closed. There is no free parking on Family Day. All City of Ottawa parking regulations and restrictions will apply. There will be free parking at City Hall at 110 Laurier Ave. W.